After a fight to get a polling place on campus, students turned out at Sandra Bland’s alma mater and voted out two incumbents in the prominently white area. The recent election in Texas highlights the power of university students being allowed to vote in local area elections. The two defeated officials had not responded favorably or quickly enough about placing a voting poll location on the university campus, as reported by the Houston Chronicle. 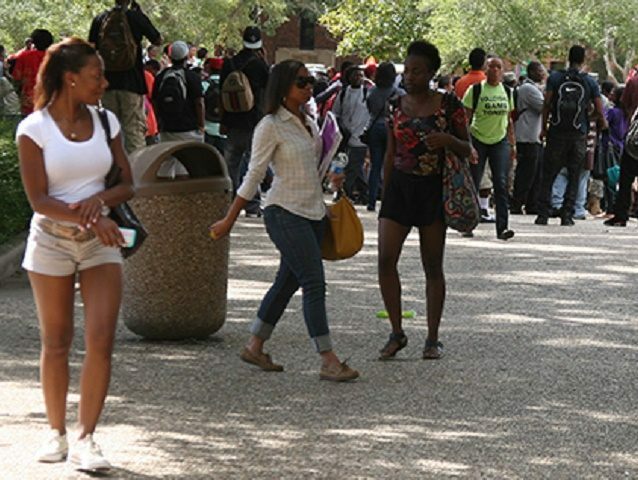 The make-up at Prairie View A&M University is largely a black Democratic population. There are approximately 8,000 students enrolled at the university and there are 43,000 people who live in the county. The Democratic Party chair, Ben Tibbs, lost his position receiving 43.94 percent to his challenger’s 56.06 percent of the vote. His opponent Rosa Patlan Harris garnered 897 votes and Tibbs received 703 votes, according to the Waller County Clerk website. Incumbent Democrat County Commissioner (Pct. 3) Jeron Barnett had three opponents (which included a Prairie View student). He lost and finished in third place. County records show that he received only 177 votes (24.45 percent). The Houston Chronicle reported that the Democratic Party chair did not prioritize a campus polling place during his first two early-voting proposals. The closest poll to the students would have been six miles away. Tibbs eventually supported a polling place on campus after folks in the county and a civil rights group expressed their indignation. Democrat Commissioner Barnett had approved those two plans, but during the final vote said he was worried about the student center not being accessible to the elderly. He discussed a location on the edge of campus. In the end, there were only two days of on-campus early voting during the primary election. The early voting period lasted a total of 11 days. Waller County Republican Party Chairman, Wallace Koenning, defeated Dani Post with 72.26% of the vote (2,990 votes). He is reported to continue to oppose a polling place on campus. Koenning, like Barnett, cites voting accessibility for the elderly. Sandra Bland was the black woman who killed herself in the Waller County jail three days after being arrested by a Texas state trooper following a traffic stop. The event raised national media attention and Breitbart Texas has reported extensively about the case. Breitbart Texas reported that Texas Department of Public Safety (DPS) Trooper Brian Encinia stopped Bland after she ran a stop sign in front of him and changed lanes without signaling. The officer told her the reason for the stop was the improper lane change. He told Bland he was about to give her a warning ticket. The dash cam video released by the Texas DPS shows that the situation escalated after Bland refused to put out her cigarette per the officer’s instructions. At one point, Trooper Encinia told the young woman that he would “light” her up with a Tazer if she did not cooperate with getting out of her car. Bland’s death in the jail was ruled a suicide by a medical examiner. Bland’s death led to months of protests at the Waller County jail. Breitbart Texas was there and caught a black activist on video telling reporters and others present that all white people should be killed. She also called white people and reporters “terrorists.” Her orders – “go back into the cave where you came from.” She later led a radio podcast where participants called for the lynching and hanging of white people and cops, as reported by Breitbart Texas. Breitbart Texas was also at the Texas Capitol when there was a Texas House committee investigatory hearing into jail standards in the Lone Star State. The Director of the Texas Department of Public Safety, Colonel Steve McCraw, was put on the hot seat by Texas State House Representative Garnet Coleman. Rep. Coleman is a black Democratic representative from Houston. In late August 2015, University Drive at Prairie View A&M University was renamed “Sandra Bland Parkway.” Breitbart Texas was there when approximately 200 people showed up at the city council meeting. In early January, Officer Encinia was indicted by a grand jury in Waller County and Breitbart Texas was there after the decision was made public. Darrell Jordan was one of five special prosecutors appointed to oversee the investigation into Bland’s death. Jordan told Breitbart Texas that the grand jury did not believe Encinia’s statement in the probable cause affidavit where he said, “I had Bland exit the vehicle to further conduct a safe traffic investigation.” He was indicted on a misdemeanor charge of perjury. A Waller County grand jury did not find any wrongdoing on the part of the sheriff and jail officials and they were not indicted, as reported by Breitbart Texas. Waller County Sheriff R. Glenn Smith called for the formation of an outside sheriff’s commission to evaluate jail procedures, jail personnel, and other issues after Bland’s death in the jail. Immediately after Encinia’s indictment, the Texas Department of Public Safety announced that they would fire the state trooper, as reported by Breitbart Texas. After his indictment in mid-January, forty members of the Congressional Black Caucus (CBC) signed a letter urging the U.S. Department of Justice (DOJ) to investigate the conduct of the DPS and officials at the Waller County jail. Brian Encinia was formally fired last week after going through the state firing process.